200 x Golf Club Boxes Cartons 49"x5"x4"
Home » Golf Club Boxes » 200 x Golf Club Boxes Cartons 49"x5"x4"
200 x Single Wall Strong Golf Club Boxes 49x5x4". 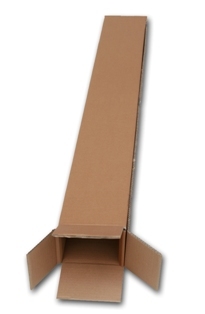 Made from a high grade kraft these are extra strong boxes perfect for protection of golf clubs during dispatch. All stated dimensions are length x width x depth.